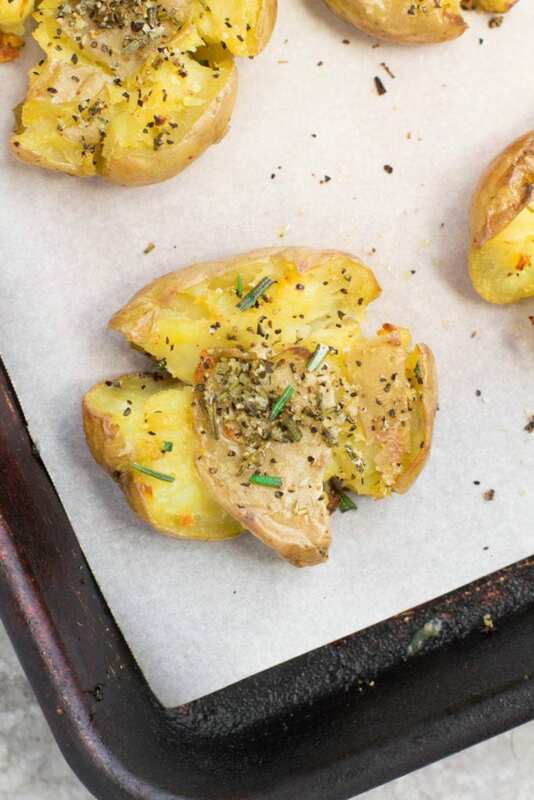 This Crispy Rosemary Smashed Potatoes recipe is the perfect easy side dish to any healthy dinner. 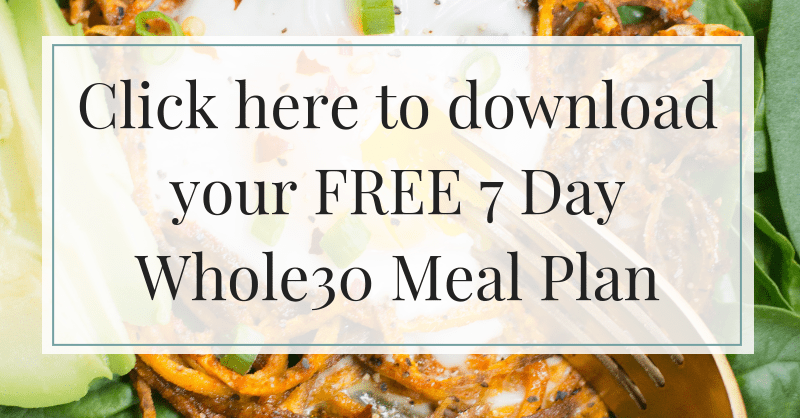 These potatoes are paleo, vegan, Whole30 friendly and easy to make. Crispy on the outside + soft on the inside, everyone at your table will love these! Obviously the best way to eat a potato is to slice it up and deep fry it… cause french fries are the best, DUH. 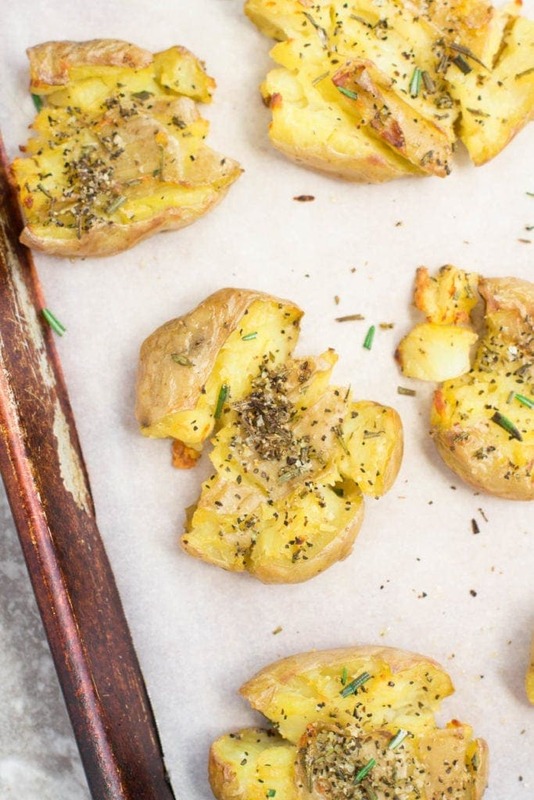 Buuuut these Crispy Rosemary Smashed Potatoes come in at a close second to fries. Seriously… these things are heavenly. 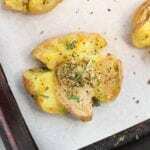 I’ve seen smashed potato recipes on Pinterest over the years, but I had never actually tried to make them. A few weeks ago I was at Costco + I had bought some mini potatoes to make Paleo Crock Pot Beef Stew. As with everything at Costco..After making one recipe, I realized I then had about 7 lbs of mini potatoes that I had to use before they went bad. (Sometimes it’s great to buy in bulk.. but we’re only 2 people, so 10 lbs of potatoes wasn’t the brightest idea) Sooo that’s when I decided I’d give these smashed potatoes a shot. 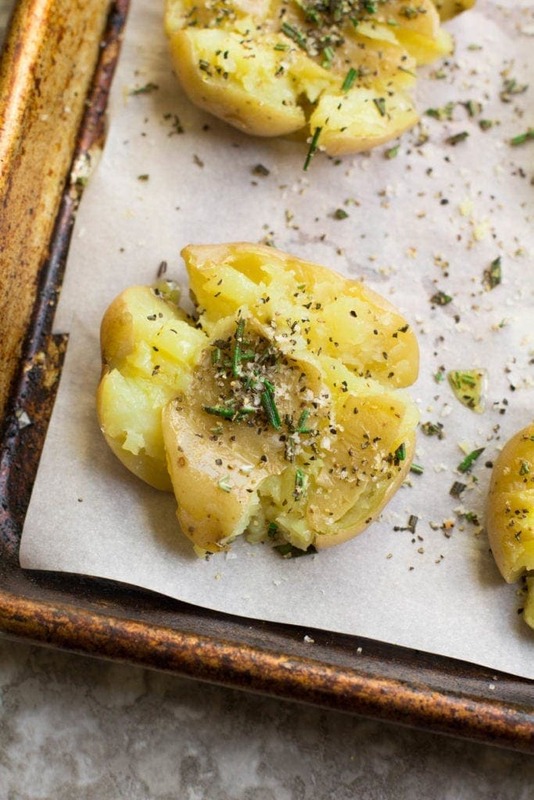 Really all you have to do is boil, smash, drizzle with EVOO/spices + bake away! Super easy. 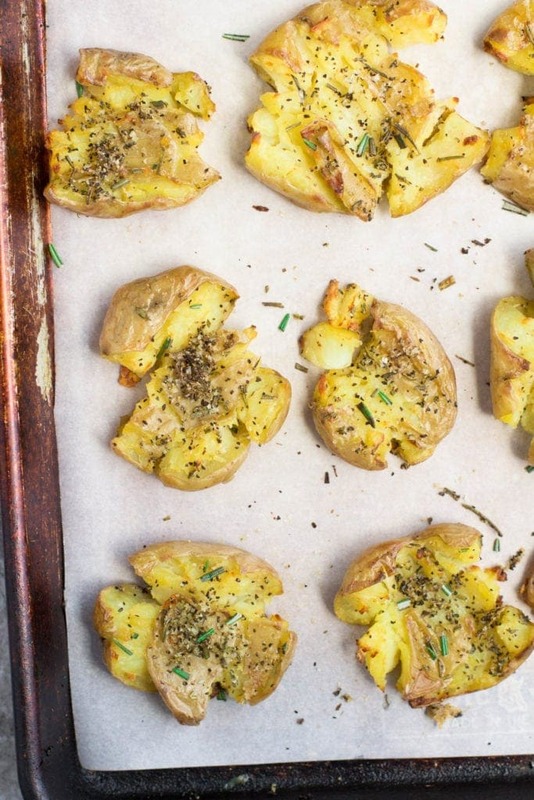 I just used plain olive oil and fresh rosemary on these.. but you could easily dress them up with an infused olive oil like this one or a fun spice blend. They’re very quick to make + are definitely a new favorite in our house! Boil the potatoes for 20-25 minutes until fork tender. 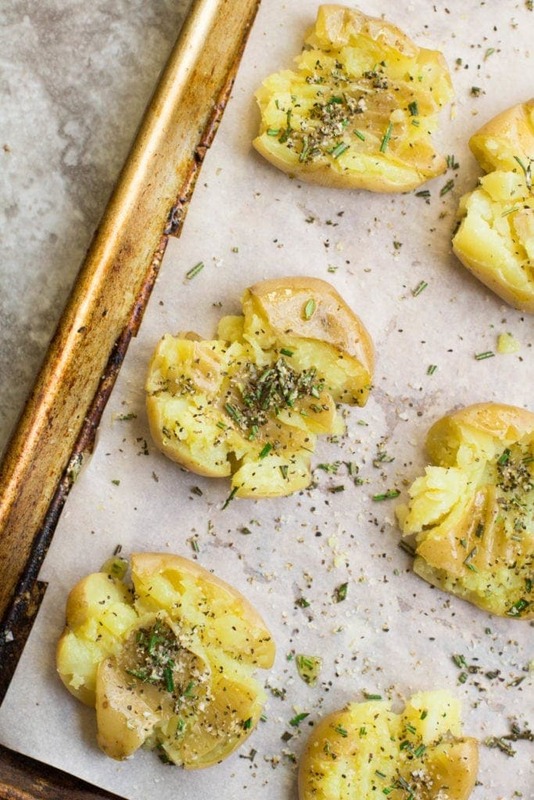 Drain the potatoes and place on a greased baking sheet. Press the potatoes with a masher or a fork until flat. Brush the olive oil/spice mixture over the potatoes. Right?!! It’s the best combo! Hope you try them! Been planning on making this for a while and O..M..G.. so good!!! Yay!! So glad you enjoyed them Rachel!